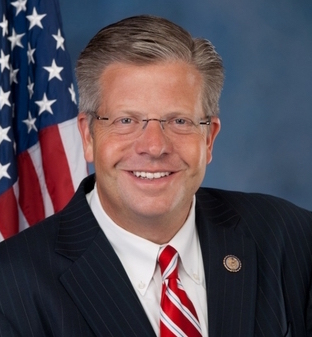 Republican Randy Hultgren has smooth sailing ahead for renomination by his party for a fifth term in Congress in 2018. But after that, it could be a rougher road for the 51-year-old Plano Republican. At least five Democrats are actively battling for the right to oppose Hultgren for the 14th Congressional District seat next November. A survey conducted by Public Policy Polling released this month shows Hultgren with a 44-41 percent lead over a generic Democratic candidate. 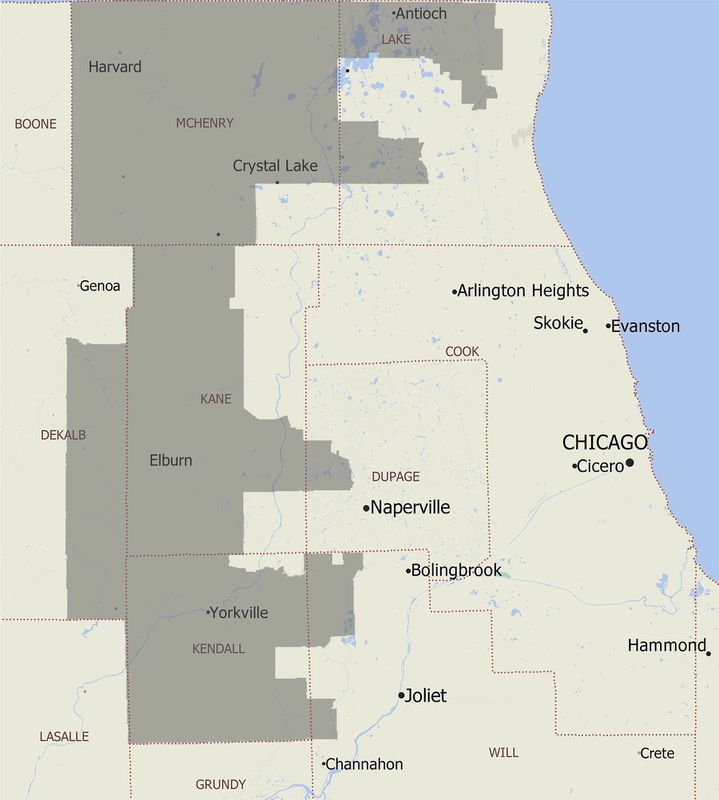 Hultgren represents a reliably Republican district that runs south from the Wisconsin state line and includes both small towns and suburbs through portions of Lake, McHenry, Kane, DeKalb, Kendall, DuPage and Will counties. Since narrowly beating Democratic Rep. Bill Foster in a 2010 election in the old 14th District, Hultgren has claimed comfortable wins in a redistricted 14th, including an 18-point victory over Democrat Jim Walz in 2016. President Donald Trump carried the district by seven points last year while 2012 Republican nominee Mitt Romney was a 15-point winner. Hultgren was rated “most conservative” in the Illinois delegation according to the govtrack.us web site and the American Conservative Union Foundation gave him an 88 rating, highest among the state’s congressional representatives. He has supported Trump 94.7 percent of the time according to a tally compiled by the fivethirtyeight.com web site. But national Democrats see Hultgren as vulnerable since he represents a largely suburban district with many affluent and, arguably, more moderate voters. The Democratic Congressional Campaign Committee has targeted the 14th as one of 91 battleground districts in 2018. But the Cook Political Report says a Democratic takeover is a long shot. The party sees those seats as a key to regaining a congressional majority by targeting voters dissatisfied with President Donald Trump’s performance as well as their representative’s votes to repeal the Affordable Care Act and in favor of a sprawling and controversial tax bill. Hultgren has repeatedly voted for the healthcare law’s repeal. Last week, he joined 226 other representatives — mostly Republicans — in a largely party-line vote for sweeping changes in the tax code and series of across the board tax cuts. Hultgren has no opposition in the March 2018 primary and is the best funded of the candidates. The latest Federal Election Commission records through September show he has nearly $425,000 in cash on hand and recorded receipts of $159,739 from individuals and $343,246 from political action committees. George Weber, a retired chemical engineer. Underwood leads the pack with $63,000 in campaign funds on hand in the recent reporting period while Brolley had nearly $51,000. Two other Democrats are reported to be running but were not included in the FEC list of candidates: Daniel Roldan-Johnson, a teacher from Volo, and entrepreneur John Hosta. Incumbent Democratic Rep. Bill Foster, 62, seeks his fourth Congressional term in this district. He also served a single two-year term in the old 14th district before losing a re-election bid in 2010. He represents a district that includes portions of Cook, Du Page, Kane, Kendall and Will counties and includes parts of Naperville and Aurora. Dominick Stella,, a cardiologist from Darien, is running for Congress for the second time. Stella, a Republican, narrowly lost the party’s nomination in 2016 to Tonia Khouri. She went on to suffer a 17-point loss to Foster. James Marter, chairman of the Kendall County Republicans, has filed to run for the 16th District seat against four-term incumbent Adam Kinzinger. Jaye DeBates of Granville has also filed petitions for the GOP primary. Marter does not live in the district, which includes all or portions of DeKalb, Ford, Stark, Will, Winnebago, Boone, Bureau, Grundy, Iroquois, LaSalle, Lee, Livingston, Ogle and Putnam counties. Four candidates have filed in the Democratic primary: Neill Mohammad of DeKalb, Sara Dady of Rockford, Beth Vercolio-Osmund of Ottawa and Amy Briel of Joliet.